For those who have never been to Newbridge before, the venue offers a wide range of fishing opportunities with 3 very different lakes on offer. 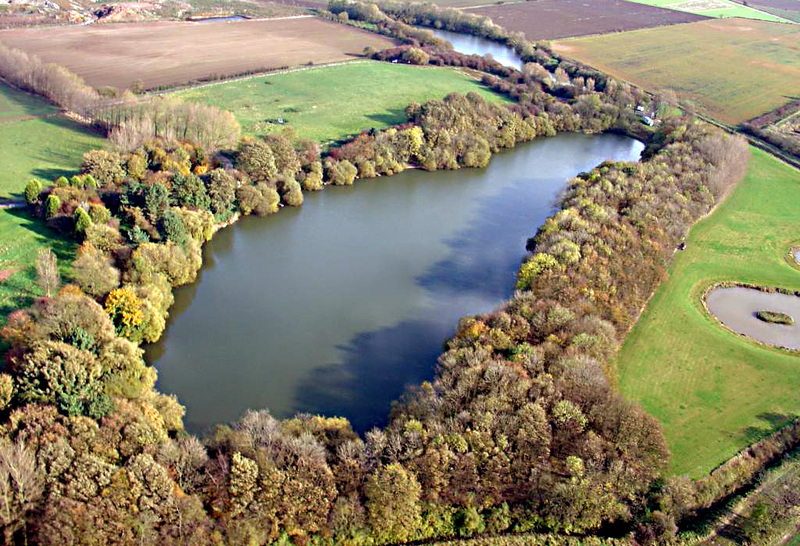 This is the main lake which is 7 acres in size and offers a large Carp fishing as well as some of the best silver fish fishing available. Just over an acre in size and has 2 islands. 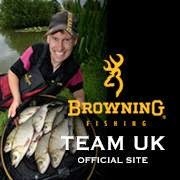 This is a match style lake with a good stocking of F1s, Carp, Tench and Skimmers. This has 1 central island and is less stocked compared to the Harrif Pond, which allows the fish to grow to specimen sizes. 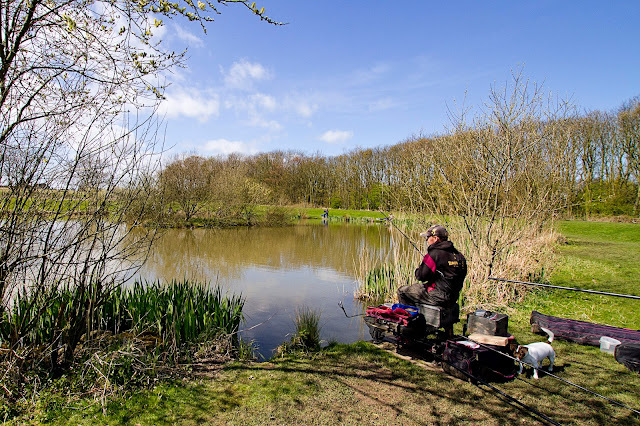 I opted to fish the Harrif pond as it looked extremely inviting. After a walk around the lake I opted for a peg that had a few different options. The peg I decided on offered an array of areas to target. 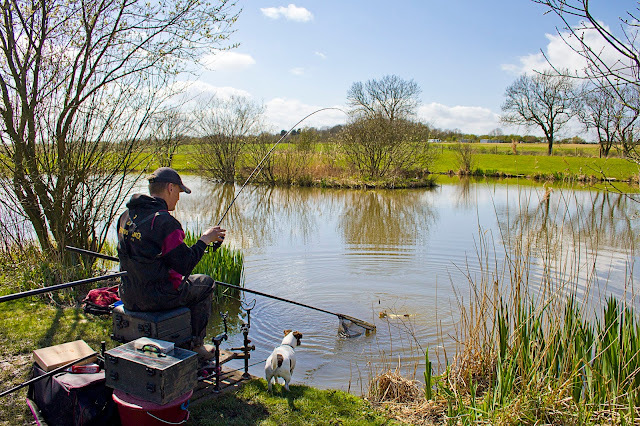 Firstly there was the island which was within comfortable casting range for fishing the Hybrid feeder. 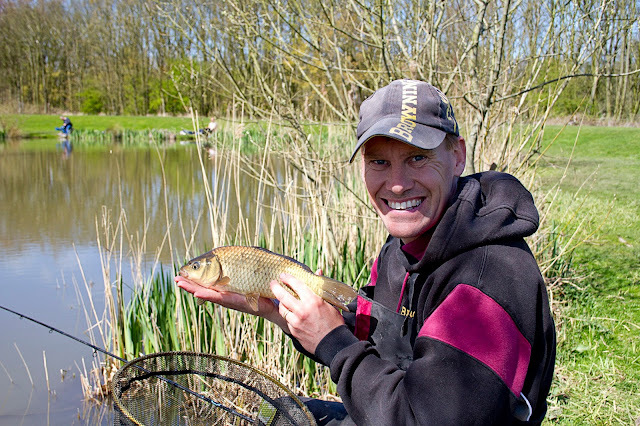 The peg also offered plenty of open water to target with pole tactics. 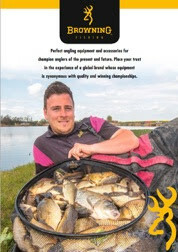 I opted for 2 pronged approach, firstly targeting the end of the left hand island with a hybrid feeder as this looked to be a great fish holding feature. The other area I planned to target was a pole line at 13 meters, I had plenty of open water to target so this would be a great back up line for when bites eased on feeder line. As this was a pleasure session I kept the bait options down to a minimum. I opted for dampened micro pellets and 4 mm hard pellets for both the feeder and the pole lines, "simples"
I started the session on the feeder, with a 4 mm hard pellet in the band and micro pellets in the feeder for feed. I cast the feeder and as I was clipped up it landed perfectly within a foot of the island. Within a minute of the feeder hitting the bottom, the tip pulled round and I was in, this resulted in a Skimmer around a pound in weight soon been netted. The next chuck was a mirror image of the first, but this time it resulted in a lovely F1. The first hour was pretty relentless as the bites just kept on coming, Carp and F1's were the main species plus I did have a rouge Tench. Just as the second hour commenced a fish took me into a snag, resulting in a big commotion and me getting snapped off. This left me having to re-set up and bites grinding to a halt on the feeder line; I was pretty much forced into swapping over to the pole line, which I had been regularly feeding via a pole mounted kinder pot with micro pellets.